With the imminent release of Wes Anderson's The Grand Budapest Hotel, I have isolated a song from each of his past directorial works (sans short films) to create a condensed playlist. Anderson's films are notably deliberate and manicured, and his choice of music is no exception. Fresh from getting roughed-up over a game of snooker, Dignan (Owen Wilson) fruitlessly attempts to jimmy open a parked car with a wire hangar, when suddenly the focus shifts to an Alfa Romeo Spider in the distance. The music is timed to perfection; a chorus of hums as Dignan tackles the locked door, exploding into Scottish verse as he nears the top-down convertible, ending in a click as Inez (Lumi Cavazos) turns off her stereo. It's an oddly jubilant moment for such a dispirited character. 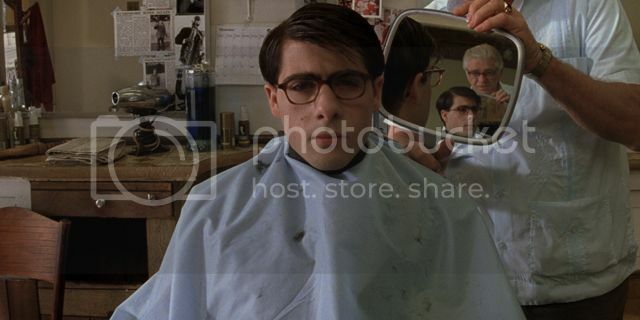 As the curtain closes on Anderson's sophomore feature Rushmore, Max Fischer (Jason Schwartzman) takes Rosemary Cross (Olivia Williams) by the hand on the dance floor, and shares an enigmatic moment beautifully realised by Lane and Wood's lyrics about lessons on love and relationships. 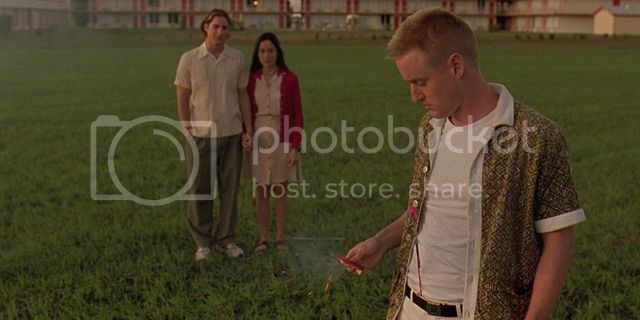 It's hard to think of a song that could have been more appropriate here, one that speaks volumes about Fischer and his acceptance of the nature of unrequited love. In what is perhaps the most unforgettable moment in The Royal Tenenbaums - and indeed the entirety of Anderson's work - Richie Tenenbaum's (Luke Wilson) world crumbles around him as he discovers secrets of his adoptive sister, Margot (Gyneth Paltrow). The cold stillness as Richie calmly shaves off his trademark beard and hair, to the quick flashes of memory, to the overhead focus, are flawlessly soundtracked by Elliot Smith (whose depression and subsequent apparent suicide was well documented), making this one of the most haunting and bleakly beautiful scenes of Anderson's career. 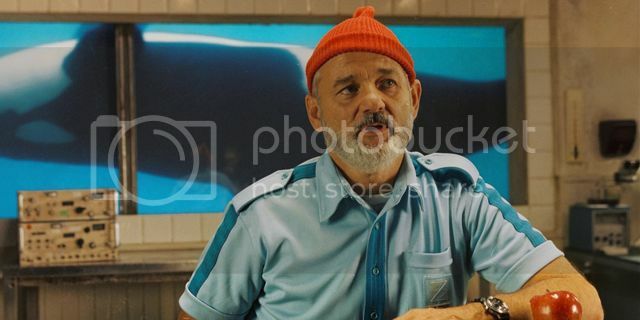 The Life Aquatic concerns Bill Murray's Steve Zissou: an oceanographer on a mission to exact revenge on the mythical Jaguar shark, which may or may not have killed his partner. The film - and Zissou - achieves dazzling closure as he and his crew locate the mysterious shark, with the sublime accompaniment of Sigur Ros' Staralfur. 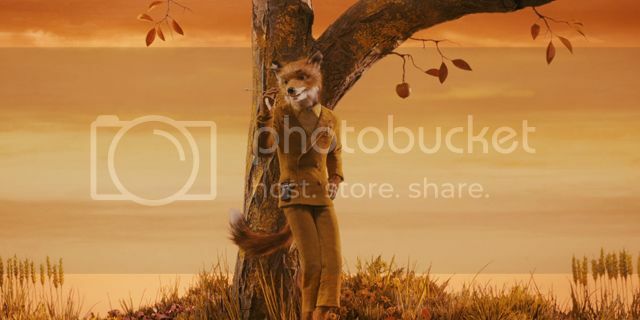 It's an undeniably touching moment, where both visuals and sound have been exquisitely paired. 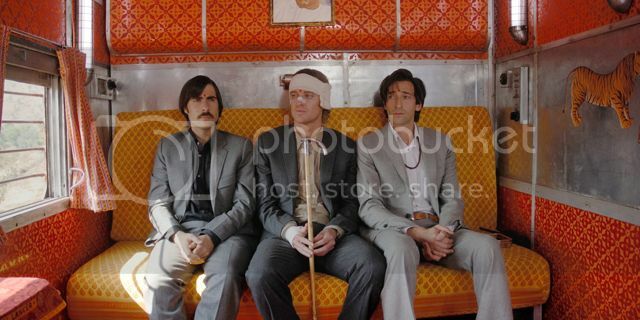 The soundtrack also features an excellent collection of David Bowie covers from Brazilian musician Seu Jorge, who imbued his versions with a great beauty that suit the film to a T.
The three brothers attend a young boy's funeral whilst traveling across India: a young boy who Peter (Adrian Brody) fails to save when a trio of children gets swept up in a swelling river. A turning point in both character and film, it is a poignant reminder of the nature of death and despair (common themes for Anderson), wonderfully juxtaposed with The Kinks' delicate song about the meaning of life. It was hard not to go with my other choice - Jarvis Cocker's weakly written 'Petey's Song' - but Alexandre Desplat's springy sounding-off of the three antagonists from a chorus of children is brimming with such playschool exuberance that it'll be stuck in your head for days. 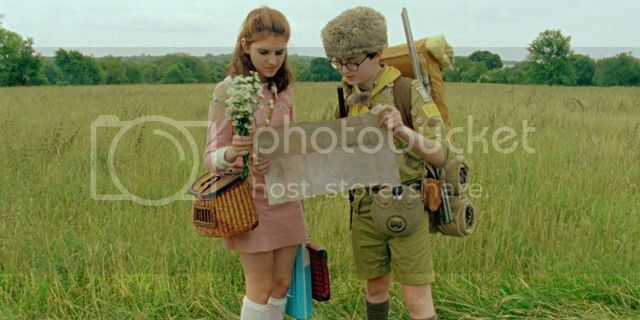 There is only one true moment in Moonrise Kingdom that combines pure Anderson composition with a musical number, and it can be found in the scene where Suzy and Sam (Kara Hayward and Jared Gilman) cut loose at their beachfront hideaway to the sounds of Francois Hardy's bouncy 'Le Temps de L'amour'. The song - whose title directly translates to 'The Time of Love' - echoes the straightforward motif of the pre-pubescent love story. The Grand Budapest Hotel is released nationwide on 7th March, and with Alexandre Desplat once again collaborating, the soundtrack is set to work in unison with the expected eccentricities of Anderson's visuals.